UPDATE: Australian favourites Nick Kyrgios, Bernard Tomic and Sam Stosur will light up the Sydney Olympic Park Tennis Centre in January at Apia International Sydney 2015. Rising Australian tennis star Nick Kyrgios (ACT) today confirmed he will start his season at Apia International Sydney 2015, joining fellow home-grown talent Bernard Tomic (QLD) and Sam Stosur (QLD) at Sydney Olympic Park Tennis Centre from 11-17 January. After a record breaking season in which he toppled then world No.1 Rafael Nadal at Wimbledon to reach the quarterfinals, Kyrgios will be seeking his first title at a tournament that has traditionally been a happy hunting ground for Australia’s best. 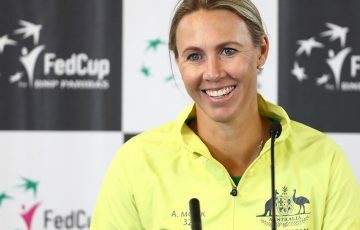 “I can’t wait to play in Sydney, I think the twilight sessions and the atmosphere that creates will suit my style of play,” said the world No.55. 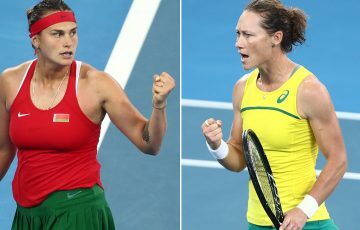 In the women’s draw, Australian No.1 Stosur will start as the local favourite in what promises to be another stacked women’s field. 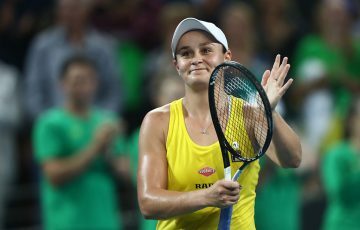 The 30-year-old Queenslander, currently ranked inside the world’s top 20, captured her sixth WTA title last week in Osaka and has great memories of playing in the Sydney event. “It’s a great tournament and I spend a bit of time there in December practicing so I’m pretty used to the courts and conditions,” Stosur said. Joining Kygrios in the men’s draw will be 2013 champion and last year’s finalist Tomic. The Queenslander started 2014 with a bang, returning to the Apia International Sydney final where he went down in front of a record crowd to then world No.5 Juan Martin del Potro. With injuries on the mend, the 21-year-old is aiming to rise back into the world’s top 30 and add another Sydney title to his resume. “[Sydney] brings back a lot of memories. This year I was feeling much more confident and managed to get through to the final. It was amazing playing under the feeling of defending your title,” said Tomic. Securing three of the most popular players in Australian tennis was a massive coup for both the tournament and Sydney tennis fans, said Apia International Sydney Tournament Director Alistair MacDonald. “We’re thrilled to be able to bring Nick, Bernard and Sam to the Apia International Sydney this summer. Nick is one of the most exciting players on tour at the moment and Bernard obviously has a great history here in Sydney,” said MacDonald. 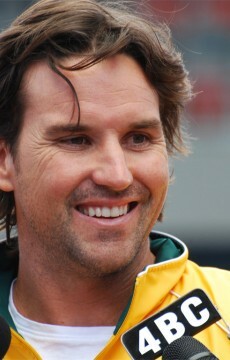 The high profile trio of current Aussie stars will be joined by Davis Cup Captain Pat Rafter who will play an exhibition match before the men’s singles final as part of the new Sydney Men’s Legends event. Rafter’s opponent will be announced shortly and is set to make the final night of the event one not to be missed. Apia International Sydney 2015, proudly supported by Apia in association with Volkswagen, will take place at Sydney Olympic Park Tennis Centre from 11 to 17 January 2015. Tickets can be purchased online through Ticketek or by calling 1300 888 104.